A braking system is comprised of many moving parts. There are the brake pads, which clamp down on the brake rotor to slow the car down. There’s also the brake caliper, which is what squeezes the pads against the rotors. Plus, a master cylinder contains brake fluid and creates power for the brakes. Each component has an important job, so you’ll want to make sure that everything works correctly at all times. Otherwise, you run the risk of getting into an accident in Annapolis, Highland Beach, or Hillsmere Shores. Therefore, if brake repair near you is needed for your BMW, you’ll want to get it done at BMW of Annapolis as soon as possible. Squeaking Brakes: What to Do? Squeaking, squealing, or grinding noises: The brake pads may be worn down so much that you’re hearing them contact the brake rotor. Vibrations when applying the brakes: If you feel shaking in the steering wheel or brake pedal, then a brake rotor may be uneven. Soft brake pedal: You may find that the brake pedal sinks all the way to the floor when you push down on it, which could be caused by a number of things. There might be air in the braking system or the master cylinder could be leaking fluid. Car pulling to one side when braking: There may be a problem with a brake hose or caliper. If one caliper is applying more pressure than the other during braking, then the car would pull to either the left or right. If your vehicle experiences any of these issues, then get it checked out right away. For brake repair near you, visit our state-of-the-art service center. Here, you’ll find a group of highly trained and certified technicians. Not only are these individuals very experienced in brake service, but they use advanced equipment to help keep your car in tip-top shape. No matter the job, we’ll work quickly and efficiently to get you back on the road as soon as possible. Plus, if we have to replace any part, we’ll do so with genuine OEM parts. This way, your BMW can run as well as it did when you first drove it home. If your BMW needs brake repair near Annapolis, Highland Beach, or Hillsmere Shores, don’t wait. 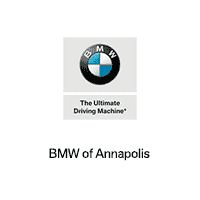 Schedule service at BMW of Annapolis today!